Edward Hoornaert is not only a science fiction and romance author, he’s a certifiable Harlequin hero. No, he hasn’t appeared on book covers, and no, he isn’t allergic to shirts—but he did inspire N.Y. Times bestselling author Vicki Lewis Thompson to write “Mr. Valentine”. This novel, a finalist for the prestigious Rita Award, starred a male romance author. 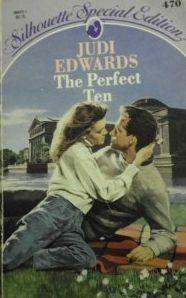 Vicki called it her favorite Harlequin Temptation of the forty she’s written. Ed didn’t start out to be a writer. While still in school, he toyed with the idea of becoming a professional oboe player, but after he married his high school sweetheart, their shared goal became adventure. Nothing as wild as climbing Mt. Everest, mind you, but still adventurous for a lad born in one of Chicago’s most dangerous neighborhoods; the kind you’re afraid to drive through even with the windows rolled up. His early stomping grounds have since been urban-renewed out of existence. For him, the saying You can’t go home again is literally true. One of his adventures was teaching in a one-room school accessible only by float-plane. A local fisherman (also an author) had tamed the wilderness island’s deer andthreatened to shoot any hunter who shot his deer. Since everyone believed him, the island’s deer ran tame, with no fear of people. As a result, Ed and Judi were treated to bucks clashing antlers right outside their kitchen window. Ed set two novels on fictionalized versions of Gilford Island. Next, he taught in a two-room log cabin school with Judi as the second teacher. 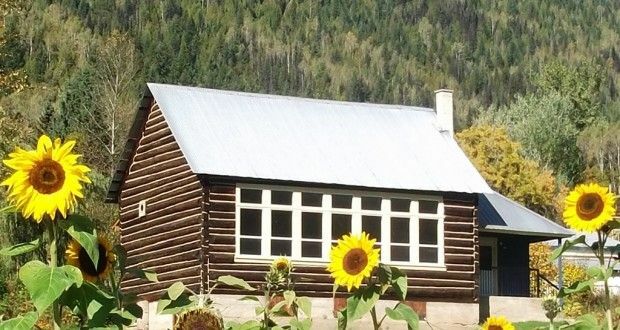 Although he hasn’t used that setting in a novel (yet), he did develop a fascination with log buildings, and when he moved to the ‘big city’ of 1500 people, he bought a log house. His love of logs still not satiated, he built a log garage all by himself—except for the roof, because he’s afraid of heights. He set a romance novel in his log house, and it was one of his best selling books. His memories of that time remain golden, because his four children were born while living there. With a family to support, adventure became less important than stability, though he still dabbled in the unusual. He was on a crew of eight men who built a raft and raced it 130 kilometers (nearly 80 miles) down a fast mountain river. The crew placed third in the race, but Ed was content just to survive. The annual race was canceled soon afterward because too many racers died. During this time, he became interested in writing. The interest surprised him, because aside from a high school English teacher who told him he should be a writer, music had always been his creative outlet. He started out writing contemporary romances for Silhouette Books, but these days he writes science fiction adventures with elements of romance. He is a member of the Science Fiction and Fantasy Writers of America and the Romance Writers of America’s Published Author Network (PAN). Ed and Judi live in Tucson, Arizona. They have four children, a mutt, and the galaxy’s most adorable grandsons. Ed’s children are spread across Canada, the USA, and the Netherlands. 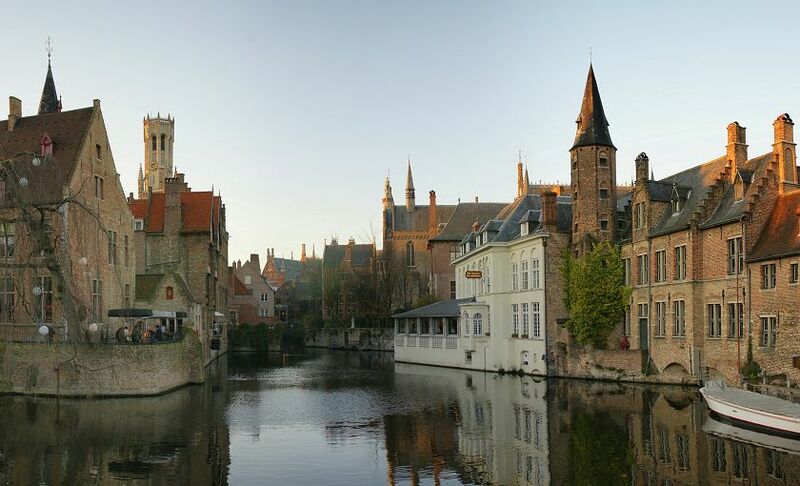 Bruges, Belgium, where Ed has relatives. It’s the epicenter of the Hoornaert name. Q. — How can I follow all the new releases? A. — So glad you asked! Simply join Ed’s World, an occasional newsletter about releases, sales, and other fun stuff. Q. — How the heck do you say the name Hoornaert? A. — Either HORN-ART or HORN-ert, take your pick. Mr. Hoornaert also answers to hey you or Ed followed by a long pause. The name is Vlaams (the ‘real’ version of the word ‘Flemish’), from the area around Bruges in West Flanders. The ‘aert‘ ending, Ed is told, is a dead giveaway that a family hails from Belgium rather than the Netherlands.